Select users allowed to edit Calendar Settings. 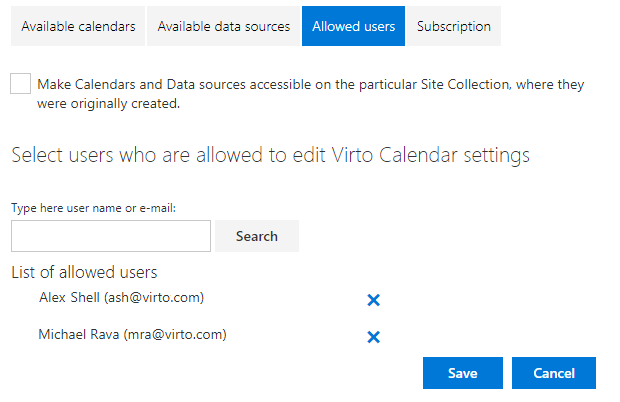 The checkbox “Make Calendars and Data sources accessible on the particular Site Collection, where they were originally created” allows you to limit access to calendars for users working on other site collections. If the box is activated, users can see only the data sources and calendars from their current site collection. The feature is useful for multi-department companies with high security demands.